Last Man Standing is no longer down for the count. 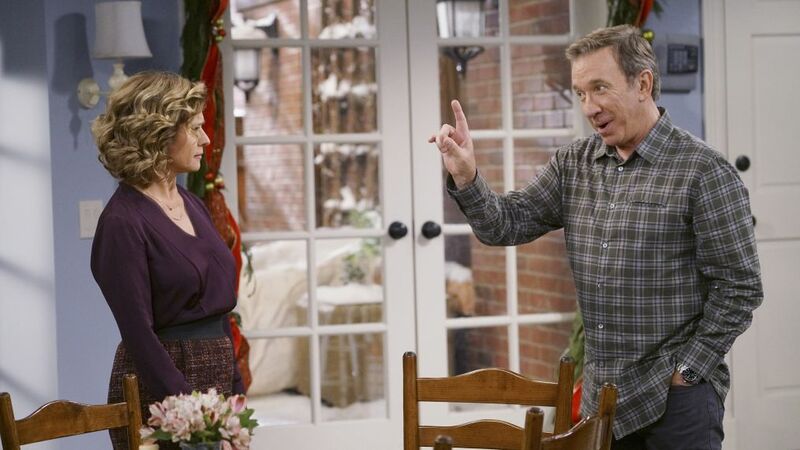 Fox announced on Friday that it has picked up the Tim Allen sitcom, which was canceled by ABC last year after six seasons, for airing during the 2018-19 season. “Last Man Standing ended too soon and the outcry from the fans has been deafening,” said Gary Newman and Dana Walden, Chairmen and CEOs, Fox Television Group, in a Fox release. Tim Allen was understandably excited with these developments. In a lengthy, and at times humorous, as you would expect, statement in the release, the actor said, "Excited? Team LMS was in the sixth inning, ahead by four runs, stands were packed and then for no reason, they call off the game. It leaves you sitting in the dugout, holding a bat and puzzled. Now we get the news from Fox that it’s time to get back out on that diamond – hell yes, I’m excited! When I heard the offer to create more episodes of Last Man Standing, I did a fist pump so hard I threw my back out. "It’s the fans!" Allen continued. "I could not be more grateful for the fans who wrote petitions and kept up the passion and incredible support for the show. And a fist pump, ouch, for Dana Walden and Gary Newman at Fox for not only listening to the fans, but for making the bold move to bring Last Man Standing back. I’m sure audiences will be curious to see what we look like after all these years. Oh, has it only been one year? Well, just goes to show you – a lot can happen in a year." Allen and the Fox execs were certainly right about the uproar from fans about ABC's cancellation of the show. Allen had initially suggested that his show was axed due to his conservative views, but ABC denied that idea, and Allen himself has since walked that back a bit. 'Politics had absolutely nothing to do with it—we have actors on our shows who have all sorts of different political views,' said ABC's entertainment president. Almost immediately after it was canceled by ABC, there were reports that talks with other networks, like CMT, were taking place to pick up the series. But Fox makes sense as a home for the show, given that while it originally aired on ABC, it is co-produced and distributed by 20th Century Fox Television. Beyond that, one has to wonder if the recent ratings success of the Roseanne revival had any influence on Fox's decision to bring back Allen's show, given how the two comedies have similar themes and audiences, generally speaking. Whatever the case, the series is back. But while fans of Last Man Standing are very excited by this development, Fox has already found itself facing the wrath of a different disgruntled fan base. On Thursday, the network officially canceled the comedy Brooklyn Nine-Nine, and those viewers were already irate about that decision. The show was canceled at Fox after five seasons. Fox will likely have more on this during the network's annual upfront presentation on Monday, May 14. We'll see how long Last Man Standing stands this time when it debuts sometime in 2018-19 on Fox.